Joseph Zapata is a Client Services Counselor at Hudson Pride Connections Center. He first joined Hudson Pride Connections in 2015 as an intern for Hudson Pride’s youth program, YouthConnect. Upon completion of his internship, Joseph was hired as an Outreach Associate, where he focuses on community education about HIV, links people to HIV/STI testing, links people living with HIV into needed healthcare services, and links people who are HIV-negative to HIV prevention services such as PrEP counseling. 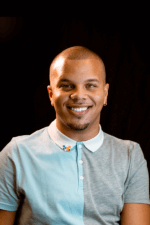 After earning his Associate’s degree in Human Services from Hudson County Community College in May 2016, Joseph’s work responsibilities increased and he now delivers PrEP Counseling, as part of an HIV Prevention program to help young gay/bisexual men and transgender women remain HIV-negative by linking them to medical providers who can prescribe PrEP, a daily medication that can help prevent HIV transmission and then providing adherence counseling to help them to keep taking the medication every day. In the past, Joseph has served as an Outreach Intern for Act Now Foundation, the Alzheimer’s Resource Center of NJ, within the Center’s Memory Screening Program, where he assisted seniors during the difficult first steps of identifying and understanding the memory problems they were experiencing. Joseph currently lives in Jersey City and is a “sneakerologist” outside of Hudson Pride.